My Purpose Path Intuitive Life Coaching > Uncategorized > What is Neuro-linguistic Programming (or NLP)? 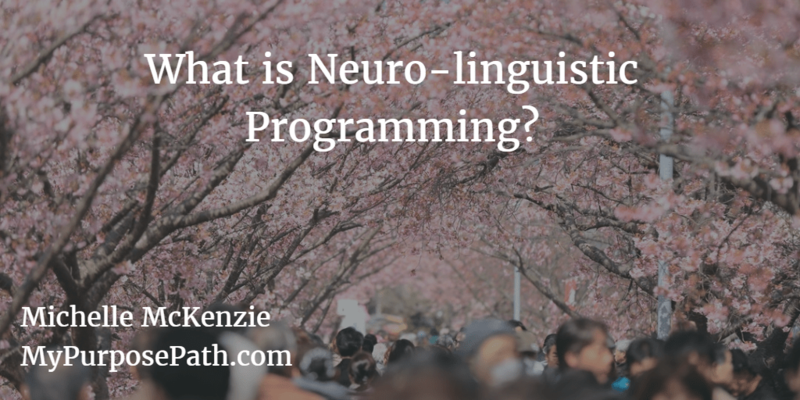 What is Neuro-linguistic Programming (or NLP)? As a certified NLP practitioner, I get asked this all the time. Neuro Linguistic Programming, or NLP is an incredibly useful behavioral science that can help you change your life. I use it in my coaching practice to help my clients gain clarity and power. The map is not the territory. This means that, as people, we have no way to actually understand reality. Instead, we understand our perceptions of that reality, and those perceptions may be flawed. We use our senses to create a map of what we believe is there. These maps are what determine our behavior, not reality itself. If your map is skewed, you’ll behave in ways that are skewed, too. For example, no program can guarantee you earn three-million dollars in a month unless you already have logical means to draw this income. If you’re interested in learning how to make a change in your life, NLP could be the tool you’ve been looking for. Overcoming phobias, learning how to speak with confidence in front of large groups, and learning how to have a loving personal relationship are all issues that can be helped with NLP techniques. Let me help you with NLP; you’ll be surprised by the difference it can make in your life!